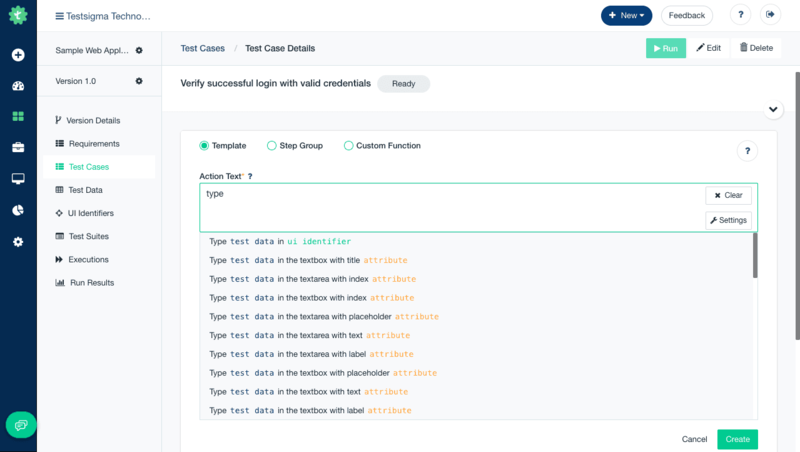 Testsigma allows you to run multiple tests in parallel across multiple test environments(different browser/device versions and OS combinations) simultaneously. Instead of waiting to execute your tests one after the other, you can choose to run your tests simultaneously (in parallel) across various test environments of different device/browser/Operating System versions and their combinations. Hence more tests are run at a time which reduces the execution time by many folds. Less execution time implies a less wait and fast build releases thus reducing the overall testing time required! Refer to the below details to understand how many parallel sessions you need to develop and execute automated tests to achieve test coverage and fulfil your Test Automation goals. Let us assume that you have 25 users(testers) and 10 of your 25 users are active Test Developers who are actively creating automated test cases. Each of the active Test Developers needs at least one parallel test environment(Local Devices/Testsigma Lab) to run their created/ developed automated tests while developing. Therefore in this case for 10 active Test Developers, you may need 10 Parallel Tests. Note: Every Parallel Test on Testsigma Lab comes with additional 5 Parallel Tests on Local Devices for Free. Choose the suitable plan wisely. Most of the cases you can use Parallel Tests on Local Devices for your developers. Testsigma empowers users to run Automated Tests in parallel to speed up execution by many times! Let us assume you have 300 Test Cases and their total execution time is 600 minutes which is about ten hours. If you have 10 parallel test environments(10 test machines), you may divide the Test Cases into 10 Test Suites(30 test cases in each Test Suite) with each test environment executing one of these Test Suites. Thus, the time taken to execute those Test Cases comes down to a tenth of the total time and with a speedup of 10 times, your execution time will reduce to a mere 60 minutes! How does the combination of Parallel Tests on Local Devices and Testsigma Lab work? Every parallel test on Testsigma Lab comes with additional 1 Parallel Tests on Local Devices for free by default. Together would be 2 Parallel Tests which can be used by active test developers for test development and regression test execution in the continuous delivery pipeline. Why consider desired test execution speed? Let’s assume you have subscribed for 10 parallel tests and you have 10 active test developers. When all of them are actively developing, they would use all of the 10 parallel tests. Now, if the build is ready to run regression tests there won't be any parallel tests left to run and your build validation will be put on hold. So, we recommend you to consider parallel tests for regular test executions apart from the parallel tests for developers. Why consider parallel tests for active Test Developers? Assume that you subscribed for 10 parallel tests and you have 10 active test developers. Let's suppose you are using 5 parallel tests for your regression tests. When these tests run, there will be only 5 parallel tests left for your test developers who actively develop new tests. During this time, others have to wait for these parallel tests to be available to run the newly developed test scripts. It is recommended to consider at least one parallel tests for each of your active Test Developer to avoid the long waiting time. How do Parallel Tests on Local Devices work? It is same as Parallel tests on Testsigma Lab, just that it uses your local test environment to execute tests instead of the devices available on Testsigma Lab. You need to have your test environment configured for executions. Automation testing has never been easier. Now writing automated tests is as simple as writing manual tests. Get a free 30 day trial with unlimited users. No credit card information needed.